Flip a coin until you get tails, this attack does 10 more damage times the number of heads. 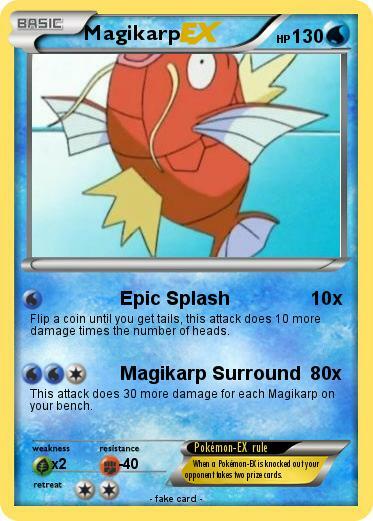 This attack does 30 more damage for each Magikarp on your bench. Pokémon-EX rule : When a Pokémon-EX is knocked out your opponent takes two prize cards.